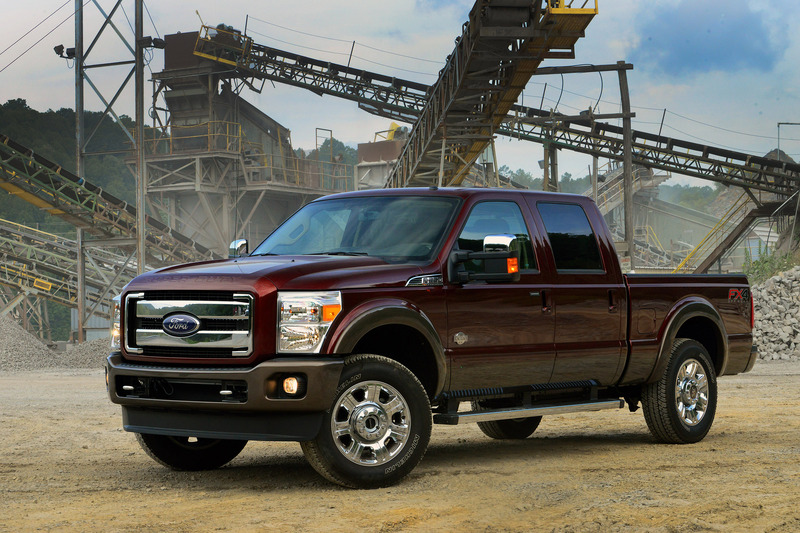 Ford, America's truck leader, introduces the 2015 F-Series Super Duty lineup today at State Fair of Texas, featuring a second-generation 6.7-liter Power Stroke®V8 turbo diesel engine; increased towing capabilities; and a refreshed, Texas-inspired King Ranch model. 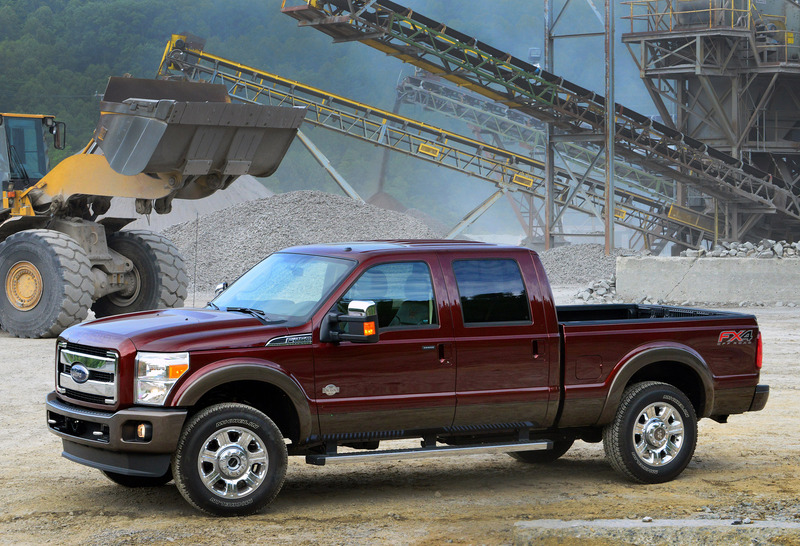 "Truck leadership means never resting, and the Super Duty team has been tireless in finding ways to improve the industry's most popular heavy-duty pickups," said Joe Hinrichs, executive vice president and president of The Americas, Ford Motor Company. 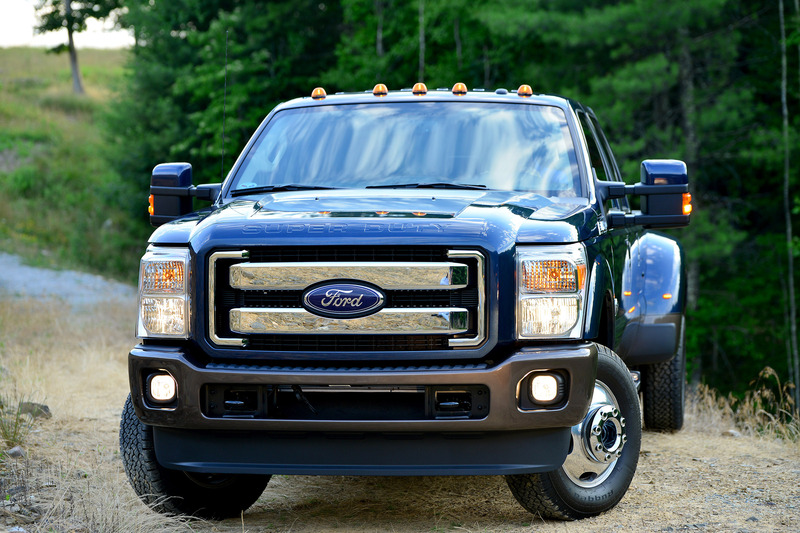 "Super Duty diesel customers will benefit from improved performance and features backed by outstanding Built Ford Tough durability." 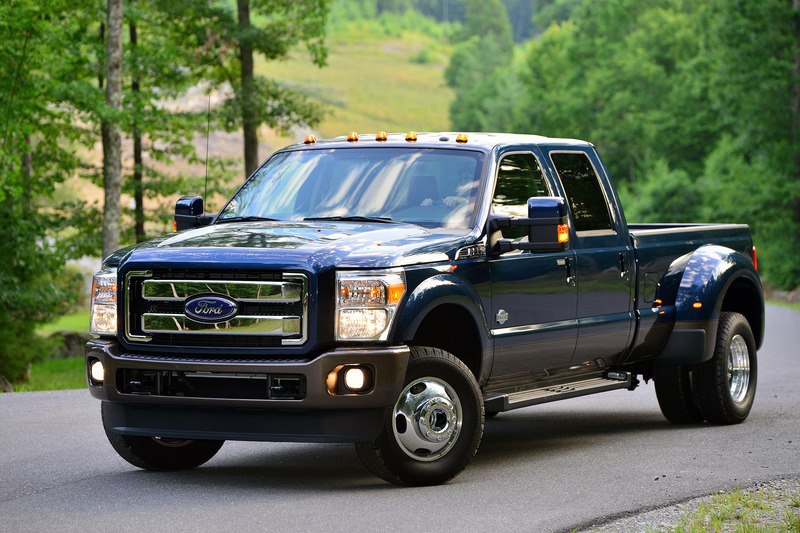 Since the 6.7-liter Power Stroke V8 turbo diesel debuted in 2011, Ford engineers have listened to customers and continued to examine each component of the engine to develop improved performance. 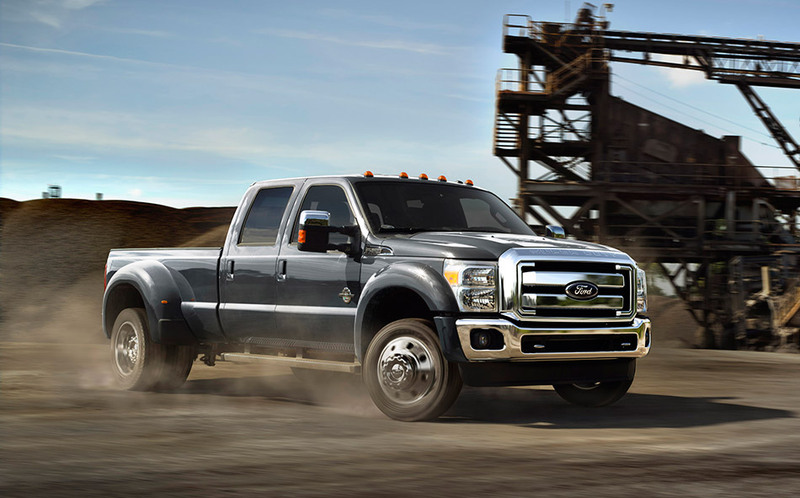 Ford is the only heavy-duty pickup truck manufacturer that designs and builds its own diesel engine and transmission combination, ensuring the powertrain will work seamlessly with all chassis components and vehicle calibrations – from concept to execution. This approach also enables Ford engineers to optimize the vehicle's performance across the entire lineup. 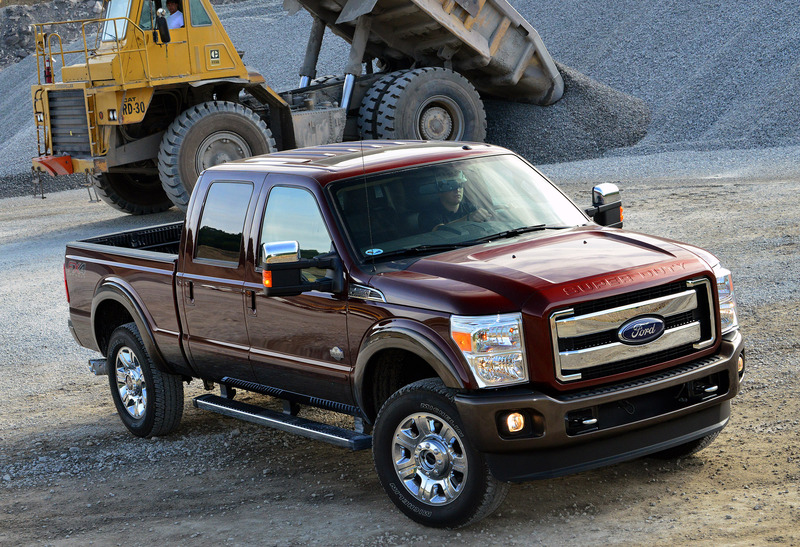 Ford engineers built upon the many benefits of this design as they upgraded the Power Stroke. One improvement is a larger GT37 turbocharger that replaces the previous GT32 model, enabling more airflow to the engine to produce more power beyond today's 400 horsepower and 800 lb.-ft. of torque. The GT37 features a single, larger 88-millimeter compressor wheel that replaces the GT32's dual-sided compressor design. The compressor forces air into the engine's cylinders to improve performance – especially at high altitude where the air is thinner than at sea level. The turbine size is increased to 72.5 millimeters from 64 millimeters, so exhaust gases have a larger surface area to spin the turbo, providing extra power. The wastegate and the wastegate controls are eliminated, because the turbo operates at lower peak pressures than the GT32. 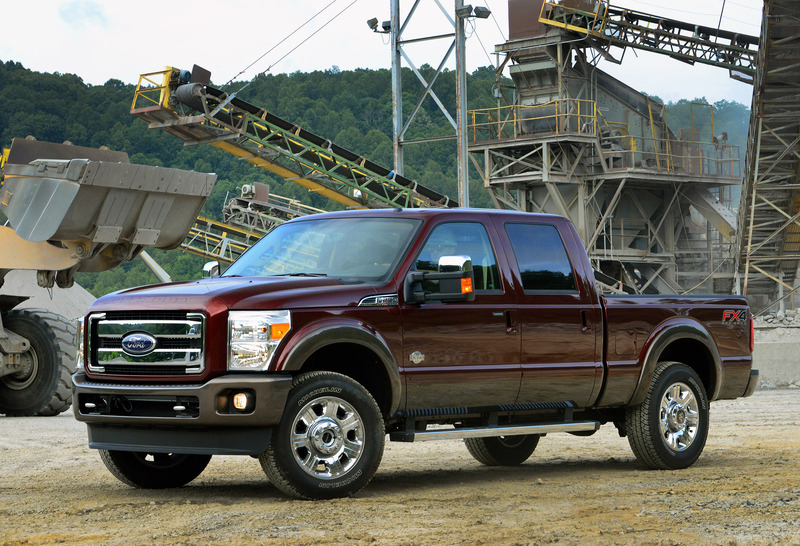 "The original designers of the current Power Stroke V8 diesel forecasted needs for higher output. This facilitated the larger turbocharger, increasing airflow and creating more power," said David Ives,Power Stroke technical specialist. "We've dramatically improved performance while reducing overall engine complexity by focusing on the turbo system." A further benefit of the larger turbo is improved engine exhaust braking, manually controlled by a push-button switch on the dashboard. Extra braking power helps reduce wear and tear on wheel brakes and requires less manual brake application from the driver, especially on downhill grades. Turbo changes drove improvements to the fuel delivery system, specifically a new high-pressure fuel pump and fuel injectors. The pump's cam stroke is increased to deliver more fuel when desired for increased power. All-new injector tips better atomize the fuel, resulting in improved combustion that enables lower noise, vibration and harshness. Other benefits include cleaner emissions and a reduction in the buildup of fuel deposits on the valves over time. 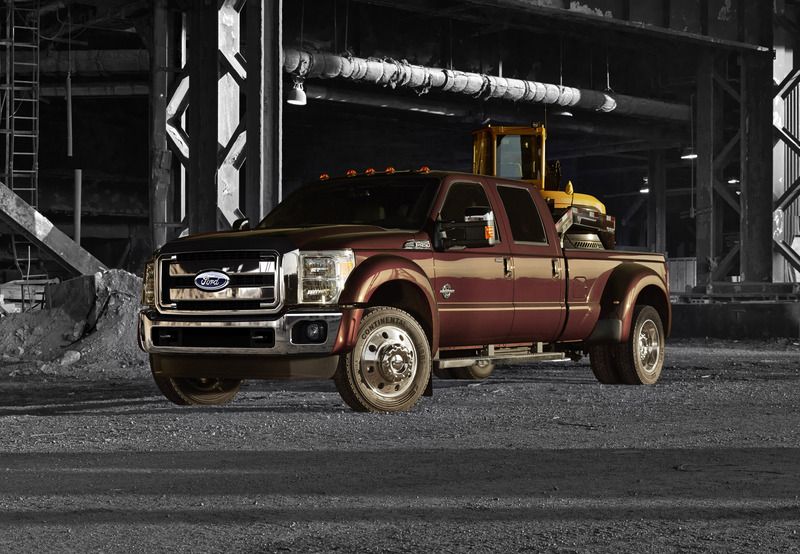 In addition, a new exhaust temperature sensor enables more accurate fuel control, which improves both durability and driveability – especially when towing – and helps the customer drive the Power Stroke diesel to its maximum capability. 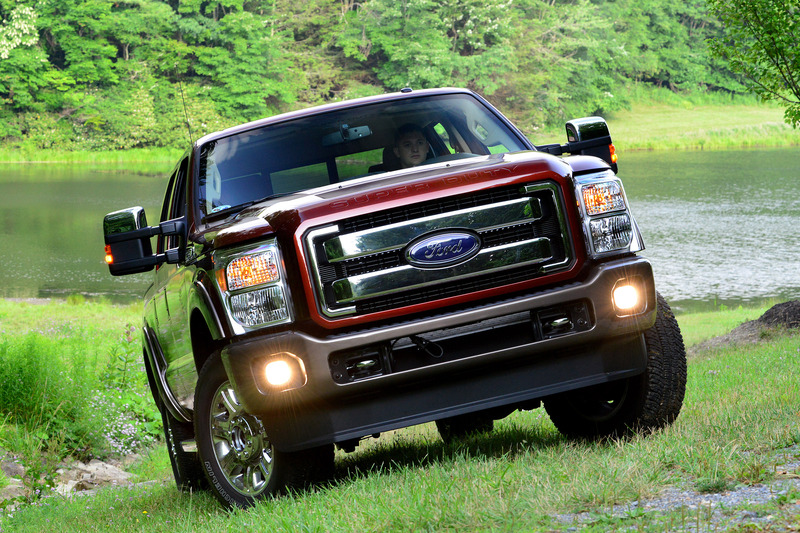 Even though the fuel system delivers extra fuel as needed to provide more power, other efficiency improvements ensure 2015 Ford F-Series Super Duty pickup customers see similar performance to today's best-in-class fuel economy. 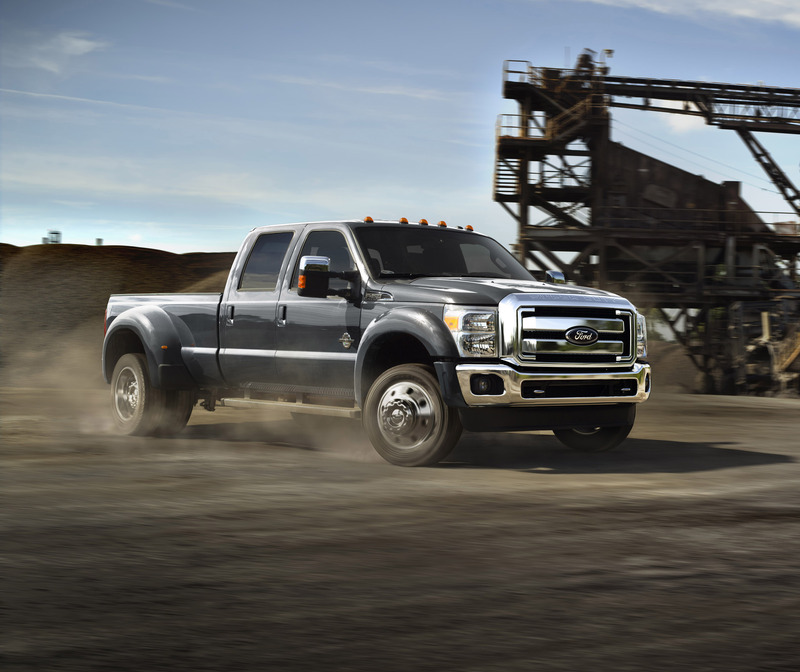 The 2015 Ford F-450 tops the F-Series Super Duty pickup truck lineup with maximum towing and hauling capability. 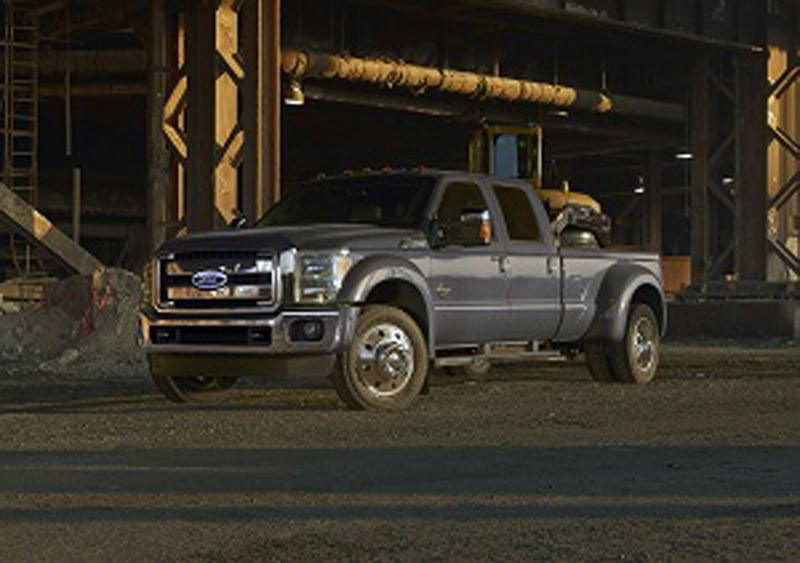 Changes for 2015 include a strengthened frame, suspension, new commercial-grade 19.5-inch wheels and tires, and core work components shared with F-Series Super Duty chassis cab models. 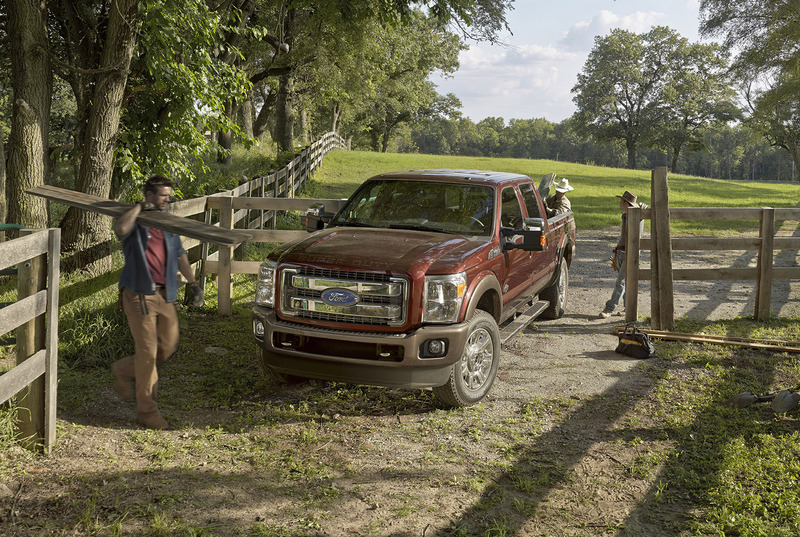 The reinvigorated update to the 2015 Ford F-Series Super Duty King Ranch edition is inspired by the place where American ranching was born. "King Ranch is an American original with a proud heritage of hard work that defines the American ranching lifestyle," said Doug Scott, Ford Truck group marketing manager. 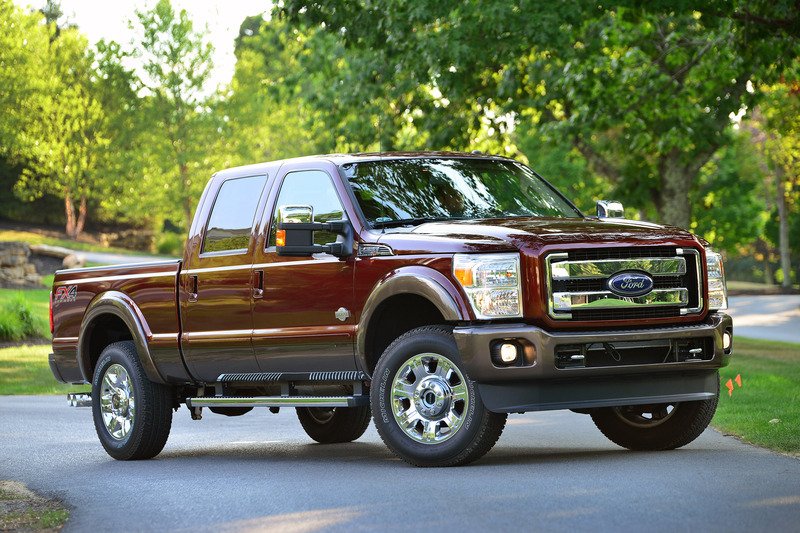 "The 2015 Ford Super Duty King Ranch seamlessly combines elements of Texas-inspired luxury and Ford capability." As part of the Ford Truck commitment to continuous improvement, the F-Series design team traveled to King Ranch, founded in 1853, for fresh perspective and inspiration from the 825,000-acre working ranch, which is bigger than the state of Rhode Island. "What really stood out is how prominent the ‘Running W' is, and how it defines and unifies the ranch," said Barb Whalen, Ford color and material design manager. 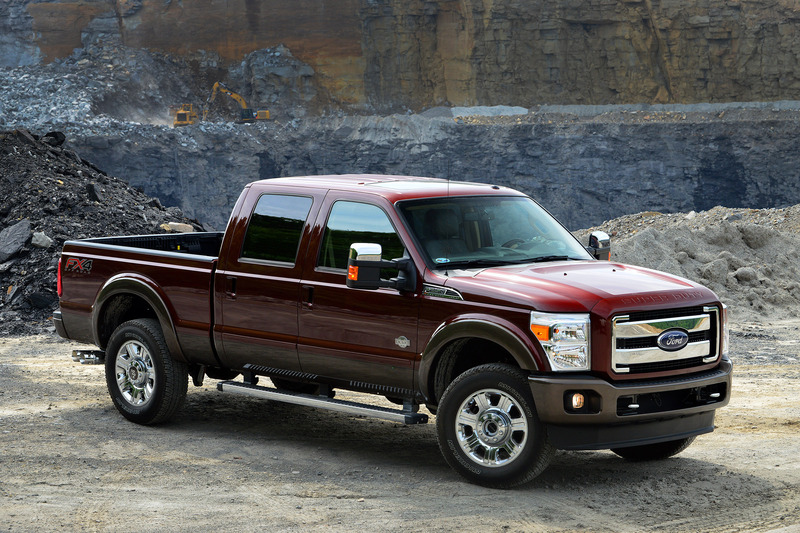 "Similarly, we wanted that brand to define the new Super Duty King Ranch." On the new Super Duty King Ranch, the Running W – the brand used on cattle raised at the ranch – provides a focal point for the interior. It is cut out and stitched to make the seat backs and center console appear to have been branded. A lighter, richer shade of Mesa leather trims the seats, center console lid, armrests and steering wheel. Exterior updates include the new, darker Caribou paint for the wheel lip moldings, bumpers and lower body. The bed rail caps, bumper caps and running boards are executed in black. The Running W brings focus to the wheel caps as well. 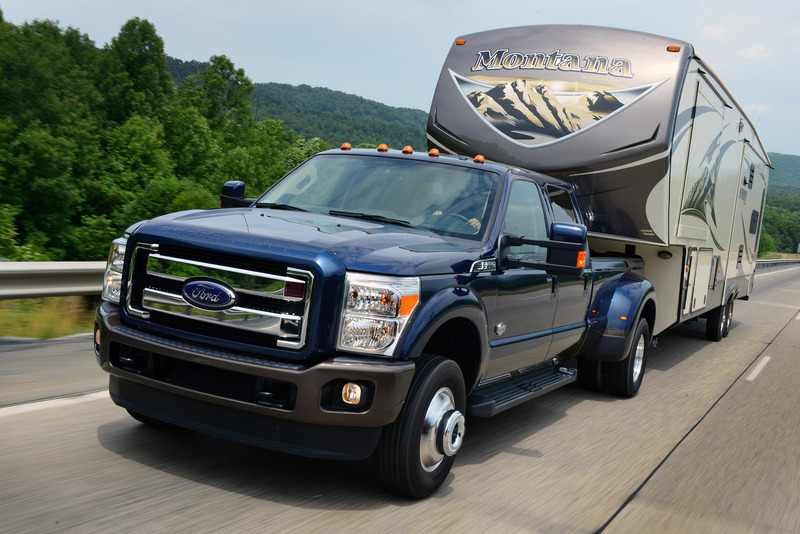 "Through premium materials and thoughtful execution, we strived to make the 2015 Ford Super Duty King Ranch have a look and a feel as authentic as the ranch itself," said Scott.